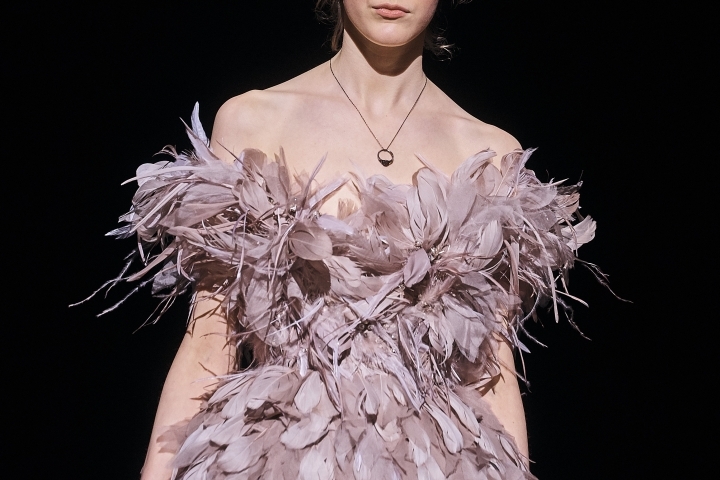 NEW YORK — Marc Jacobs didn't waste a second before starting his runway show on Wednesday. Literally. 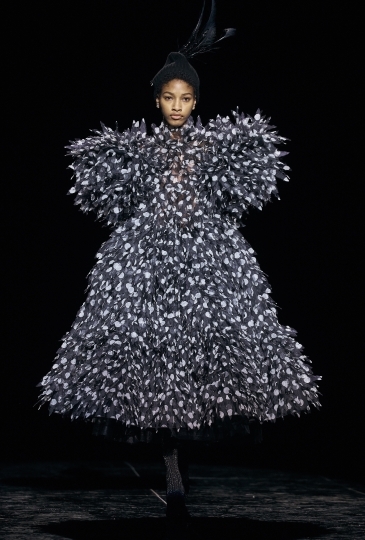 Besides his trademark showmanship, he had a surprise up his sleeve: the return of famed '90s supermodel Christy Turlington, a month after turning 50, to close the show in a voluminous black-feathered dress with a matching feathered fascinator. 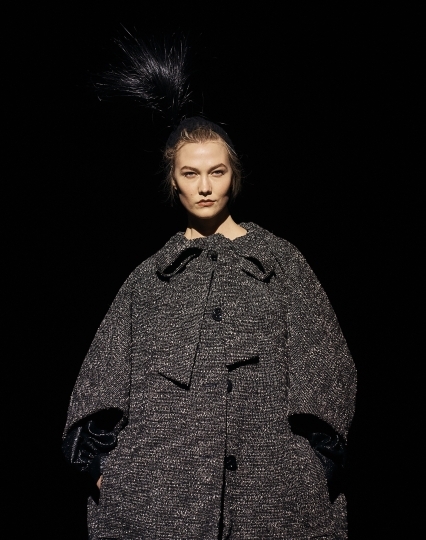 Karlie Kloss and Gigi Hadid were on hand, too. 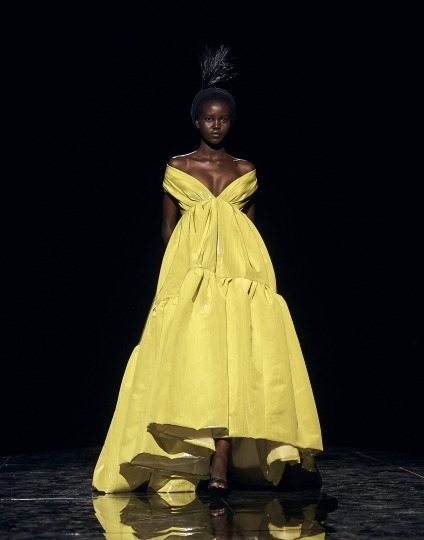 As for the show itself, it was classic Jacobs at his best — high drama and fairytale whimsy, with big shapes and signature touches like oversized ruffles and flounces and bold florals, and deliciously roomy coats that beckoned, especially given the weather outside. 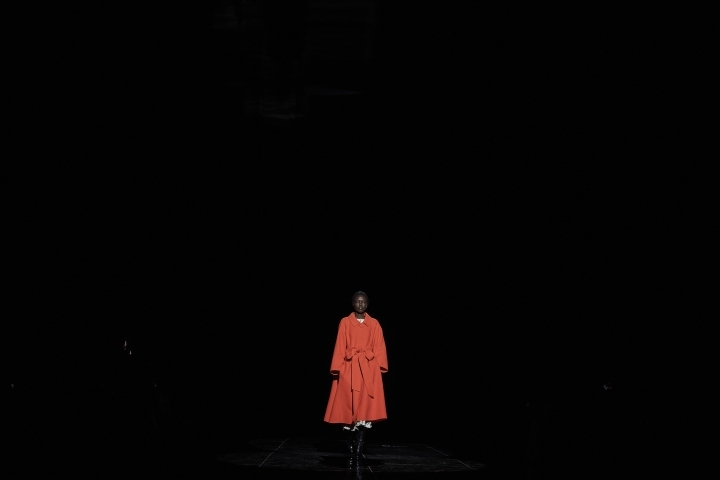 To live orchestral music — "Aheym," by Bryce Dessner, performed by the American Contemporary Music Ensemble — each model emerged into a lone spotlight from pitch-black darkness. 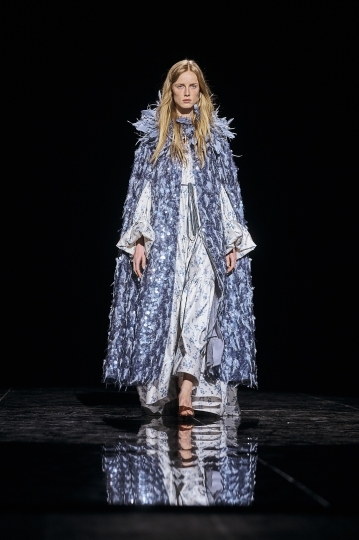 The show began with a classic look: an A-line leopard coat, paired with striped trousers and a ruffled floral blouse. 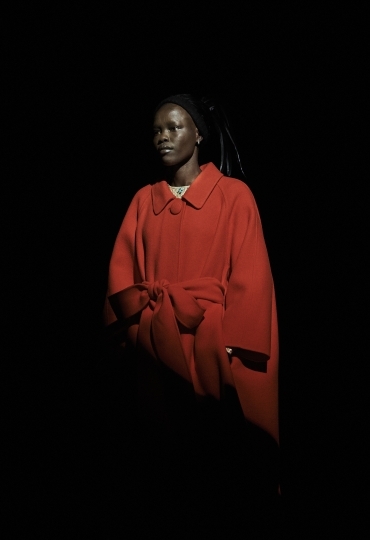 The coats revealed flouncy bright dresses underneath, like a shiny shocking pink number under a red tweed, or a blue-and-white floral with an exaggerated ruffle at the neck under a gray tweed. 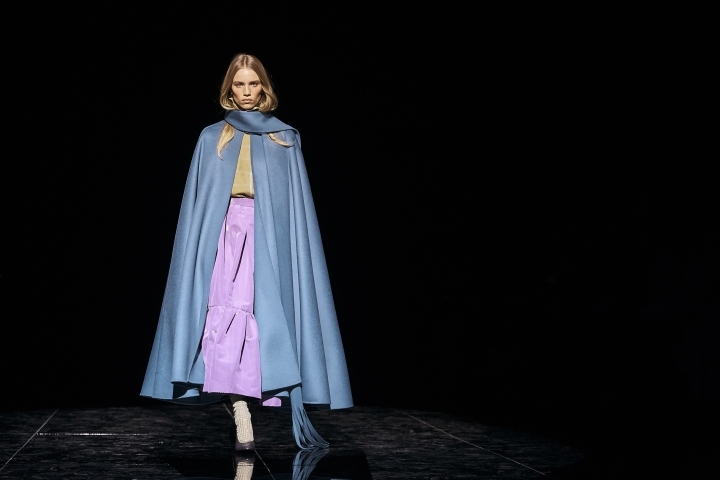 One light blue cape over a lavender skirt looked like it had just emerged from a fairytale forest — Little Blue Riding Hood, perhaps.